Thanks to an international university community, rapidly developing research, inspired citizens and venturesome startups, Tartu now has all the factors needed to become the bright center of startups in all the Nordic region. Almost all of the institutions that have connections to startups are miraculously located in about a kilometre wide area around the heart of Tartu. Amongst all of those are two symbolic hotspots: the University of Tartu and sTARTUp Hub. Everyone is brought together by an event taking place in December: the sTARTUp Day, a growing phenomena that has difficulties fitting into one single day and that has been sponsored by all for a good cause. What kind of institutions are there and what exactly is going on in them? The Technology Transfer Unit does systematic research in the university’s institutions and tries to make the scientists feel more comfortable in the business society. At the same time, they are bringing entrepreneurs to the university to find solutions to their problems by working together. “If our scientists find something exciting and cool that benefits the society then it has to be transferred into the society,” said Kristel Reim, the Head of Technology Transfer Unit. The University of Tartu has about 50 spin-off companies. They range in a very large scale and some of them have grown into huge enterprises, for example, Regio. Spin-off success stories also include Asper Biogene and Captain Corrosion; the ones in the beginning of their world-conquering journey are Ergoway and Synlab. The university also has a unit called IdeaLab that groups teams of students and helps them develop their ideas and business models with the guidance of professional mentors. 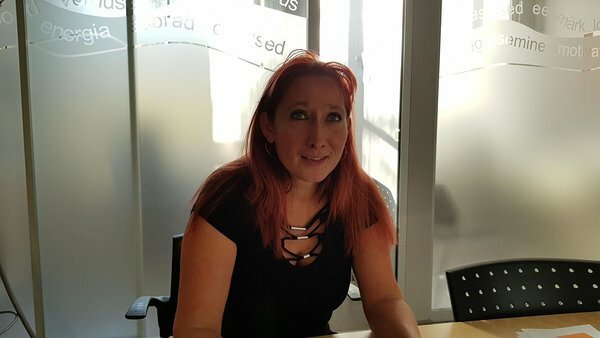 Lab’s manager Maret Ahonen said that they aim to provide incubation support to all the universities and second-degree schools from all over Estonia. “Our goal is to help develop ideas into business models and why not into first sales,” she said. At the same time they do not aim to form everybody into entrepreneurs. IdeaLab is all about the studying process by which people get to know themselves and expand their entrepreneurial skills like team-work, problem solving etc. that will also benefit them in future jobs. “Kaleidoskoop”, a business idea competition held by the UT IdeaLab, takes place at the end of every semester, twice a year and it’s final features top 10 best student teams. This year, the final takes place at sTARTUp Day 2017. There is no doubt that people working with the Institute of Computer Science are the ones finding an application when it comes to working with startup companies - the engine of most companies (also the ones with the most complicated scientific background) is high-tech IT and the main output is an application. “If you take a look from the top of Toomemägi towards the river and a hundred meters across it, you can see that about 2500-3000 people in this area are working with IT,” said the head of the institute Jaak Vilo. Even more than that - each professor and each scholar has its own entrepreneurial relations, sometimes even their own enterprises. But of course, the purpose of the university is not to turn every scholar into a businessman. In reality, the important thing is for science and scholars to give input into entrepreneurship. Entrepreneurship already starts at school - Tartu Business Advisory Services Tartu Business Advisory Services is an important place for startups of Tartu - it's the place where you can get advice from when requesting money from Enterprise Estonia or involving external investments and finding business-related contacts. Tartu Business Advisory Services has often been ordered by Enterprise Estonia to advise starting startups and each year there are about 30 clients who can request to have a financial contribution to support their beginning. SPARK HUB is the building where you can find Tartu Science Park together with the local offices of Taxify, Starship, SprayPrinter and 20 more startups - altogether more than 300 people! There is also the business street SPARK BizTown where children can try to manage a business, pay the staff and understand why it is good to pay taxes. 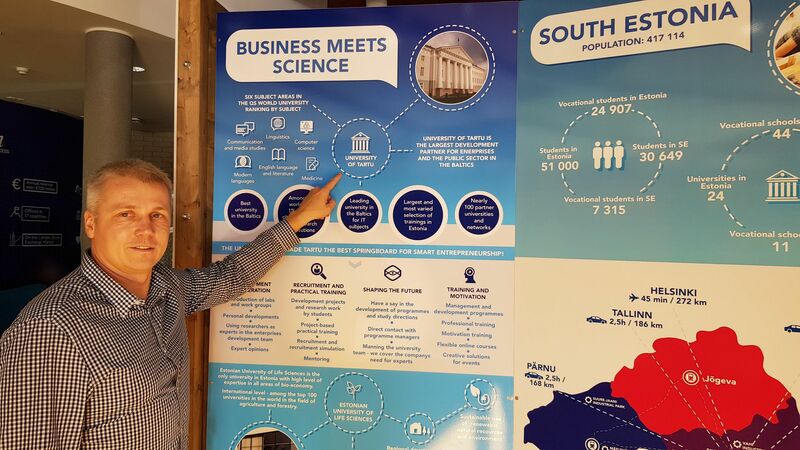 The main purpose of the Science Park is to bring together science and entrepreneurship - companies that use a lot of science and technology have found their home there and Tartu Science Park is also doing some entrepreneurship. The University of Tartu is one of the founders of the Science Park and also a member of its council. “We deal with the startups who already exist and who have basically got through the period of incubation. We take a team and an idea and help them to get to the next level,” explained the head of the Science Park Raimond Tamm. The purpose of Buildit Accelerator is to be a stakeholder in a developing startup and to force their growth through investments and supporting acts (like through really intense training). Accelerator is a form of action of the investment fund and its focus is on hardware solutions. At the moment, they participate in the operation of about 40 startups (e.g SprayPrinter). 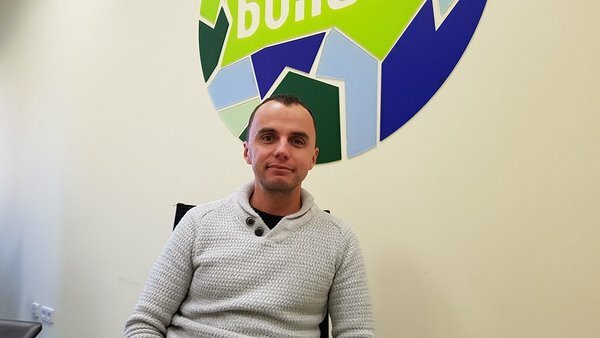 “Our clients are mainly divided into three kinds - the ones who understand that they need to quickly end operating, the ones who spread into different countries close to the money and the top ones for whom we are constantly looking up investments and into whom we are also investing ourselves,” described Aleksander Tõnisson, the leader of Buildit. All the important biotechnology companies from Tartu and all of Estonia have gathered to the university town, to the Tartu Biotechnology Park. Piia Vettik-Leemet, the development manager of Tartu Biotechnology Park, said that TBP deals with the incubation of biotechnology companies. Every year Tartu Biotechnology Park has approximately 15 companies to work with and each cooperation lasts for at least three years. One of the best ways to bring business ideas into life is UT IdeaLab. sTARTUp Hub is the most popular place in Tartu for the startup community. It has dozens of startups, co-working areas for temporary work hours, people come together and similarly to SPARK HUB - incubation programs of startups take place there. Rein Lemberpuu, the founder of Contriber and both hubs, and the president of EstBAN, said it's possible to feel the closeness of the university because basically, all the people come through the university. Lemberpuu also mentioned the cooperation with the university – together they have launched a startup program called .Cocoon. Last year's sTARTUp Day surprised the whole startup field with the number of participants but for this year the plans are even bigger. The event has grown into a three-day program and this time the organisers are also the University of Tartu, Biopark, Tartu Science Park and others. “Since the cooperation with other organisations is active enough, we found that why not organize one big business event together. To show our ecosystem, also how simple it is in Tartu to reach a lot of people with your ideas and to get help from all of these organisations, to take the first steps,” said the head organiser of sTARTUp Day Ermo Tikk from University of Tartu. Last year the goal was to have 500 to 1000 participants and to hold a modest conference. But the number of participants grew to 2800 which exceeded the hopes of everyone. “We do not want to organize an event just for startups but to introduce the whole business environment - traditional companies, startups, science business, investors, and bring them all together,” said Tikk. That is why in addition to the main day sTARTUp Day has a huge amount of side-events this year. It is possible that in a few years time we can see Tartu as the home of sTARTUp Week or Festival. Even this year the event has about ten organisers, everyone giving their best resource and effort. Tartu as a student town has lots of ideas and resources and its startup environment wants to grow even more international. “We are only at the very beginning to use the opportunities of foreign students and lecturers. We have a lot more potential to involve them in the startup ecosystem,” said Rein Lemberpuu. Thank you for translation: Jaak Kaljula, Liisa Johanna Lukk, Viivika Toode and Loora Kaarelson.